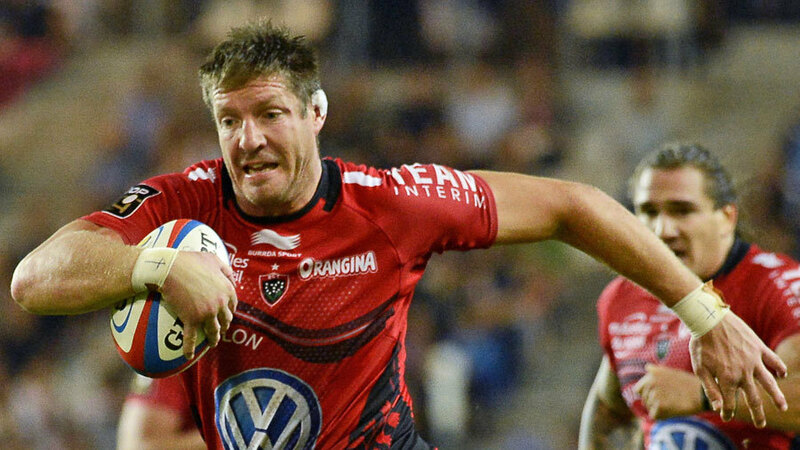 Springboks enforcer Bakkies Botha has announced the forthcoming season will be his last in professional rugby though he does hope to play in the 2015 Rugby World Cup. Botha is currently enjoying an Indian summer at Toulon and played a key role in their double-winning side. But despite an offer on the table of a further season at Toulon, Botha, 35, is adamant the 2014-15 campaign will be his last. "I do have the offer to extend my current contract, but I've already made up my mind. This will be my last season as a Toulon player. That will be the end of Bakkies Botha," Botha told MyPlayers.co.za. "My career has been given a new challenge in France, which is refreshing. I've had the opportunity to train and learn from world-class players, like Jonny Wilkinson, Matt Giteau and Carl Hayman. It's amazing to see their strong work ethic at training. It inspires me to put in hard work. "Toulon is also a proud rugby city. The players work hard to ensure we bring silverware back to the fans. It's also been great sharing this experience with South African colleagues, like Bryan Habana, Danie Rossouw, Juan Smith and the others. Hopefully, we can achieve more success as a club going into my final season." And Botha is hopeful of playing in next year's World Cup having won the tournament in 2007 under Jake White. Botha added: "If Heyneke Meyer feels that he needs me in the Springbok squad, then I'll be more than happy to be part of the team at the next World Cup. "It's always an honour being part of the Springbok squad. In saying that, I don't want to be in the way of the younger players. There are talented young locks in South Africa, like Eben Etzebeth and Lood de Jager, who proved himself against Wales and Scotland. If it's meant to be, it will happen."